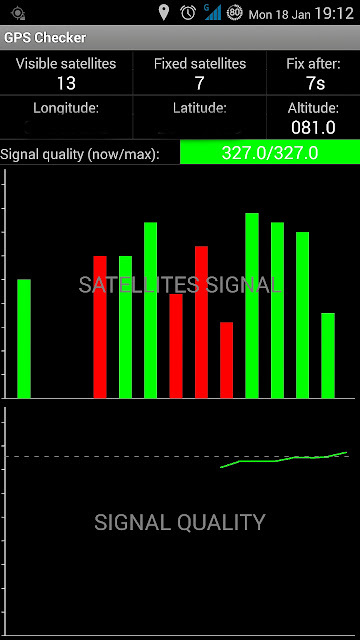 Many Chinese phone owners (like myself) know by now what a nightmare it is to use their smartphone's GPS sensor outside China's sky, especially those smartphones with MTK* chipsets (MTK6592 to name one) that have poor satellite reception. 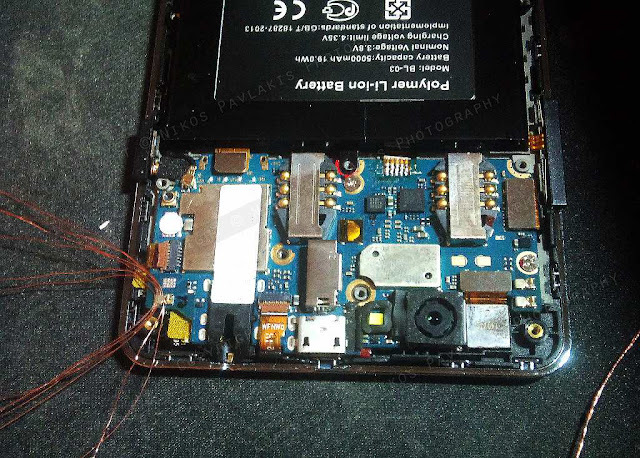 This is mainly for two reasons: the bad design of their GPS antenna and the GPS chip itself. There were some rumors that one can actually repair the GPS antenna, but the rumors never turned to reality for my own smartphone until today. 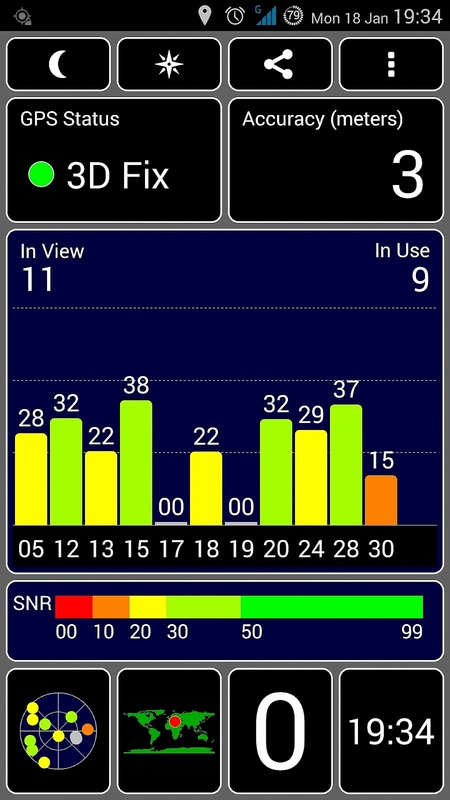 I will show you how I improved my GPS performance or at least what seems to work for now until I try it in real life GPS navigation. First I would like to introduce you to my... Chinese friend, my Smartphone. It is a THL 5000 with the enormous (for the time I purchased it) 5.000 MAh Battery, capable of providing enough power for about 3-4 days with normal use. You can check out the details of the smartphone here and you can read a review here. It is a 5" Full High Definition smartphone, clocked @ 2GHz with 2 GB RAM and 16 GB ROM, 13MP f2.0 back camera + 5MP front camera. Now "normal use" needs some explaining. The first day I downloaded all the programs and music I needed to the device (it was Saturday morning) and I operated it from 08:00 that day until 00:30 after midnight with the screen constantly turned on, the WiFi always connected, downloading and testing, but never connected via USB port or mains socket. 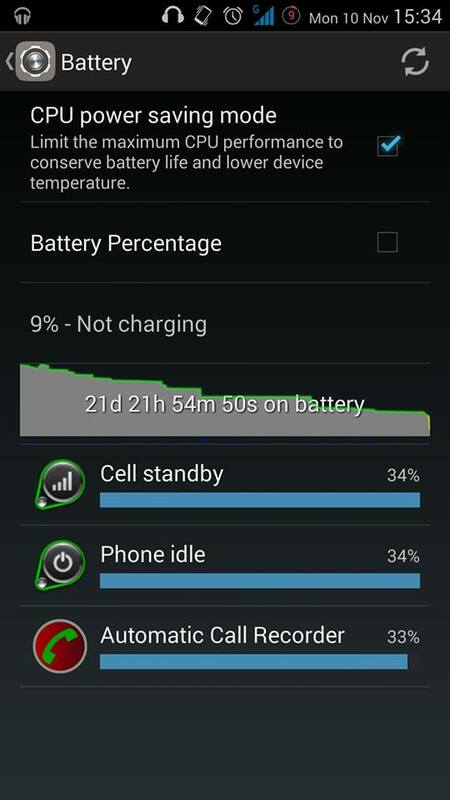 It finally turned off by itself sometime the next day completing almost one day of constant operation and some 10 hours under sleep but not turned off completely. After I had set everything up and charged via USB port (that means charging for full 6 hours at 500mA and not fast charging that takes 3,5 hours at 1.0A), I managed to run it for almost 22 days! For 22 days I used the internet for 1 hour total, I listened to music for 40 minutes every day to and from work, I had some phone calls, but not over 1 hour in total (I don't like talking much on the phone) and 4 times I locked the GPS to see if it works ok, never connected it via USB, never shut it down. That's it! My normal daily use is just about that. As I already told you, I had big issues with my GPS reception and I found some tutorials on the internet that I had never tried myself. To make the long story short, I connected 7 wires to my GPS sensor all the way to the back of my phone, I installed some test programs and I was good to go! I found the tutorials here, here and here, but what really made my try them was this post. 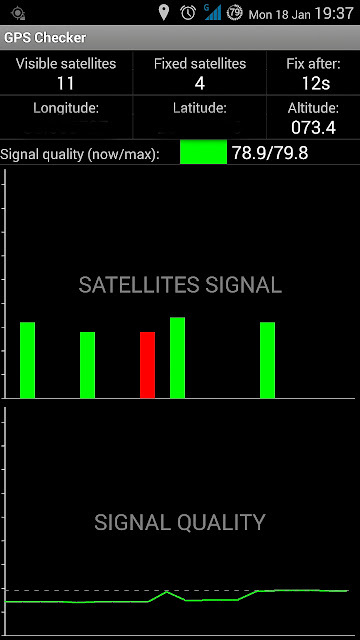 So, I went out and took a quick GPS reading using GPS Checker to see the quality of the signal from my balcony and had the following screenshot, which actually means that I get a maximum of 187.3 signal quality with 10 visible satellites of which I used 6. Don't pay attention to the 1 second Fix yet, I'll tell you later about it. This occurred at 17:00 with heavy clouds in the sky. Then I went inside, turned off my smartphone and after unscrewing the back housing, I started to pass the copper wires one by one through the GPS sensor hole (5 or 6 wires, I cannot remember). You should fit as many as you can through the hole between the sensor and the board, but no more than 7 because you will not be able to close the back housing and the cover. Don't make my mistake and twist the wires before closing the back cover as you will find it very difficult to pass them through the back hole (as I did) and you might break something while trying to do so. Pass the copper wires one by one through the hole next to the mini SD card (if you have one) and twist the wires after screwing back the housing into place. The length of the wires is essential, but you can use my estimation and roughly cut them and fold the edges back up. As long as the edges of the wires stay joined to the main copper batch, the length taken into account is only the main copper batch and not the entire wire length. In my test, I folded the wires in various lengths and I might had better results if I had more time and it was less cold outside. Of course I did many tests with duct tape and aluminum foil cut into stripes, copper stripes and none of them improved my reception, so don't waste your time with them. Before screwing the back cover, I tried the modification to see how much of improvement I could get. The tests produced variable results and I tampered with the length of the wire several times in which I folded it in various lengths and even twisted it over the location of the mini SD card with good results (but the back cover could not close completely). At 19:12 when I settled for the wire length, I saw great improvement on my GPS reception from a maximum of 187 to 290-327 and visible satellites from 10 to 13 fixing from 6 to 7. I even reached a maximum quality of 425, but I had my screen grabber turned of at that time and when I finally turned it on I had lost the signal. 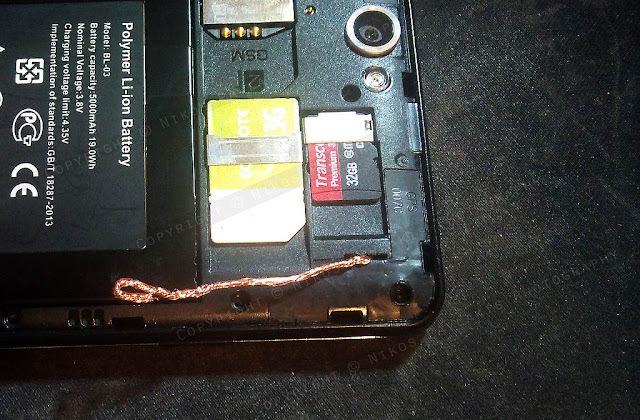 The tests were performed with the back cover open. I went back inside and screwed the back housing of the phone, I put the cover and the silicon case at the back and went out to check once more. 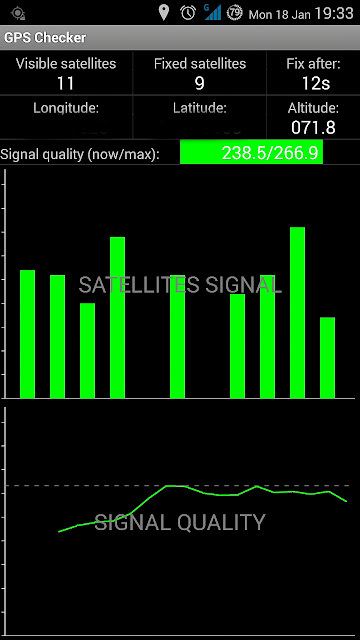 I now got a maximum signal of 266.9 with 11 visible satellites and a fix to 9 of them. The signal went higher and I guess it depends on many things, but the surprise came later, when I went back into my house. 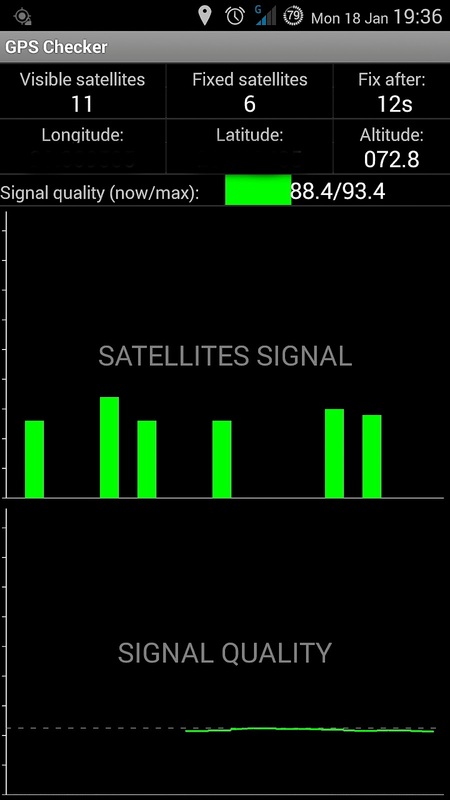 I live in an apartment on the 5th floor, the last floor with nothing built on the roof, but the phone never locked on any satellite before and stayed constantly locked until today! To my surprise, I got a maximum signal quality of 93.4 with 11 visible satellites with 6 fixed and satellites stayed locked for about a minute when I exited the app! I thought it was some kind of mistake and turned off the GPS sensor, then turned it on again and tried once more. 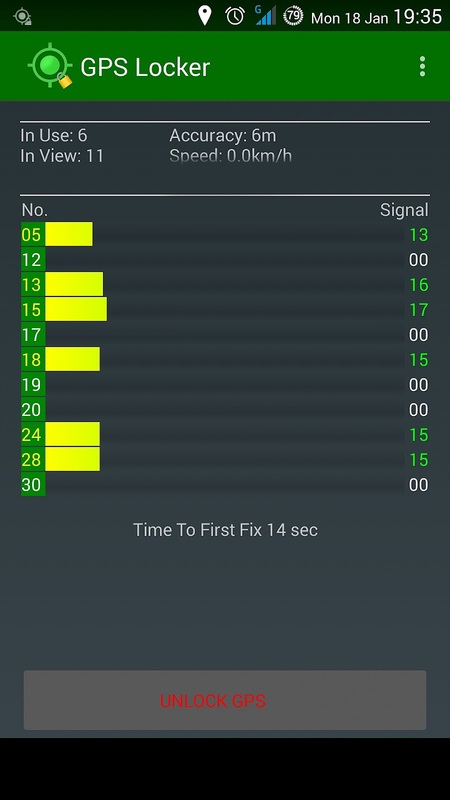 This time I got a maximum signal quality of 79.8 and it stayed locked for about 1 minute until I exited the program again. My next and final test will be on the road, where I will see if there's any improvement on locking, if the corner skipping continues and if the frequent loss of signal at night has vanished. In order for you to improve your GPS lock time in any smartphone you will need some apps from the Google playstore and some time to configure. Mobile Uncle Tools: In order for GPS to lock fast, you need to have downloaded the EPO files (current position of satellites). That data changes every few days, so you either need to download it every time GPS is turned on (data plan anybody? ), or when GPS takes over 2 minutes to lock for the next time you use it. GPS Locker: You need to do the same with AGPS data. Download it every few days, but when GPS takes too long to lock you must download it again. Faster GPS: It is really straight forward. You need to select your continent, region and country and it sets the GPS receiver to try and locate the satellites in your part of the sky instead of first trying in the Chinese sky and then other regions. GPS Tester: This is just a way to monitor the quality of satellite signal to your device. 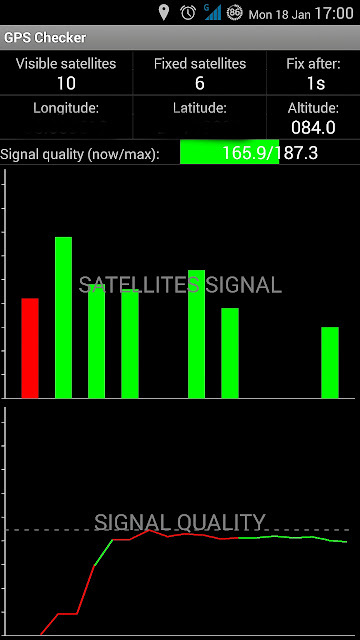 I have read that if it is under 150 it is really difficult to get the satellites locked for a long time.